Fine china from England. 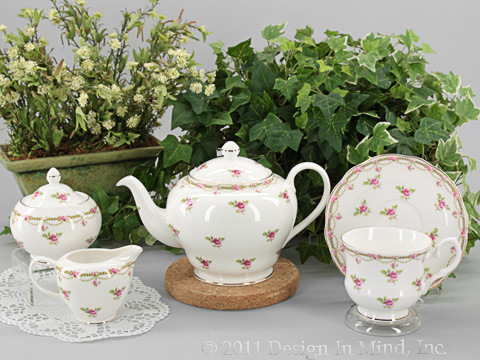 Brands include Duchess China, David Michael China, Lane End China and more teapots and teaware. 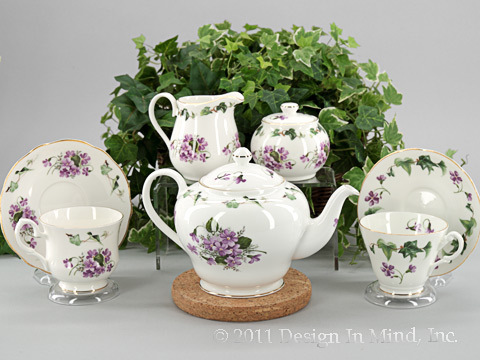 English White bone china decorated with violets and a border of green ivy. Use a standard size Tea Quilt tea cozy with this teapot. 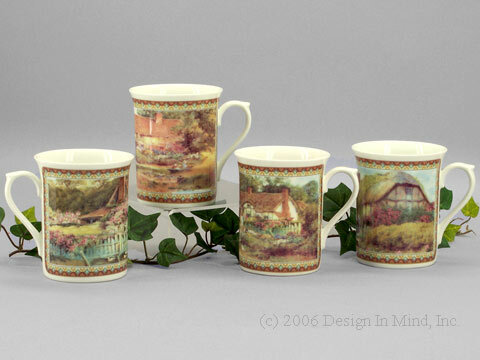 Also available is a creamer and covered sugar set and two teacup and saucer styles, 7 oz. cup is on the left, 6 oz. cup on the right. 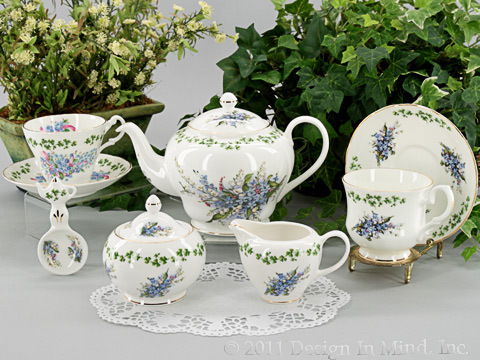 English made white bone china decorated with pastel blue Forget-me-nots and a border of green shamrocks. Use a personal size Tea Quilt tea cozy with this teapot.